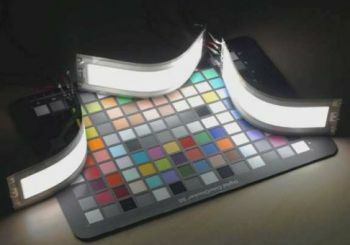 OSRAM announced that they developed a new flexible OLED with an efficiency of 32 lm/W - which makes is the world's most efficient OLED lighting panel (according to OSRAM). The new panel is made on a thin steel foil with a thickness of approximately 100 micrometers - like a sheet of paper. OSRAM developed a new electrode design for this top-emitter OLED panel, which brightness is fixed at 1,000 cd/m². OSRAM's flexible OLED research was conducted as part of the TOPAS 2012 project - the same project in which OSRAM developed the 87 lm/W white OLED panel back in June.